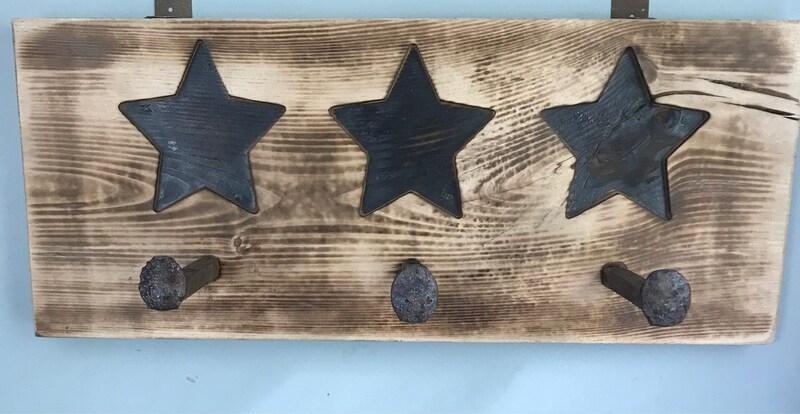 This beautiful rustic carved coat hook is a great addition to any entrance way or mudroom. 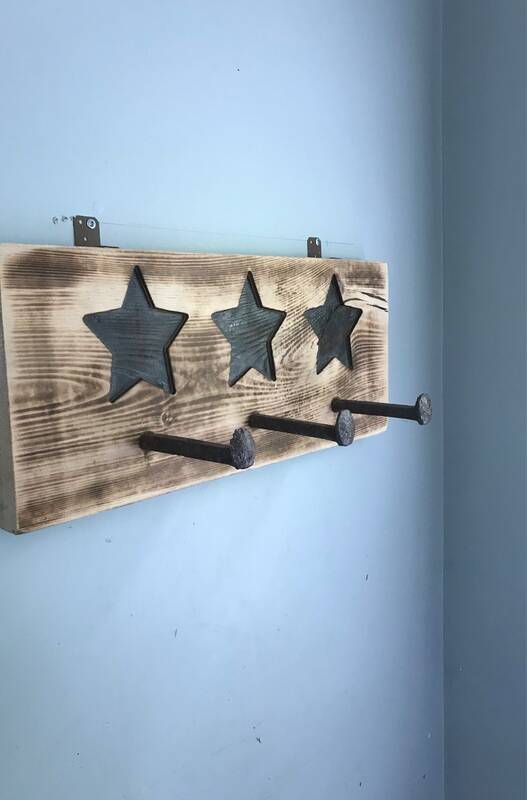 The stars are carved into the wood and reclaimed railroad spikes are used as hooks. Measures 12" x 18" x 1". Custom sizes available upon request. Please inquire for custom quote.